iWindsurf Community :: View topic - Hurricane Florence in near real time. Hurricane Florence in near real time. 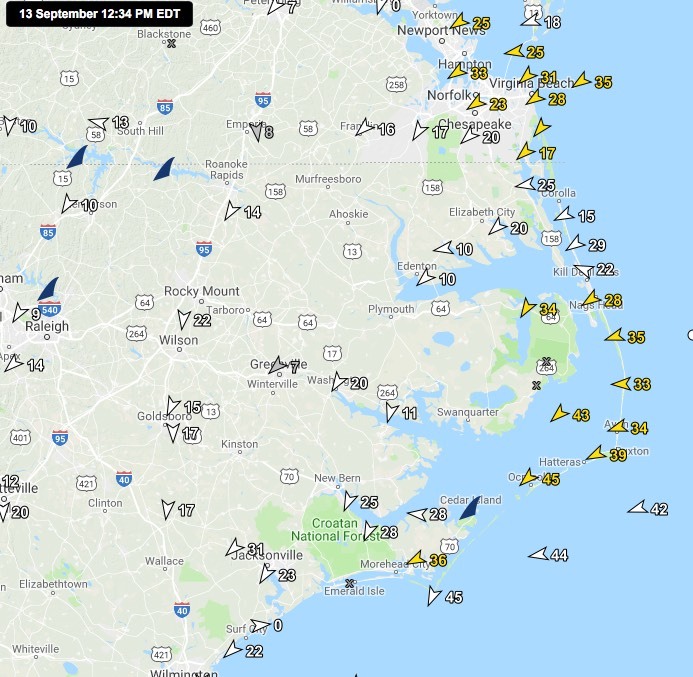 Posted: Thu Sep 13, 2018 11:35 am Post subject: Hurricane Florence in near real time. This live feed of winds on platform 30 miles off shore NC is pretty sobering . . . I'm going w a 35L and 0.3m sail I think . . . still may to rerig after a couple reaches.